I watch far too much TV. I decided to start blogging about what I watch and what I think about what I watch. I decided that this will be purely be for fun, there are only so many hours in the day. I will be commenting only on things I have chosen to watch for pure pleasure, so this does not become a chore for me. I have four small children and so television has been a great friend to me during lots of breastfeeding. My first son was premature and breastfed like some kind of leech and so I watched a lot of TV while I fed him. Also when my Dad was ill with terminal cancer I found watching TV a great distraction. My Dad found TV a distraction, so we would talk about things we had watched and recommend shows to one another. I even sent him some DVD’s. I remember sending him the old classic “The Inn of Sixth Happiness” which he really enoyed. I enjoy the escapism that television offers. I am quite a creative person and so I have always enjoyed art, culture and literature. Television is a creative medium and more recently with the different streaming services television has become more varied in it’s scope of what it offers and also directors and writers have had a lot more creative freedom, there is a lot more out there to watch and it is good! 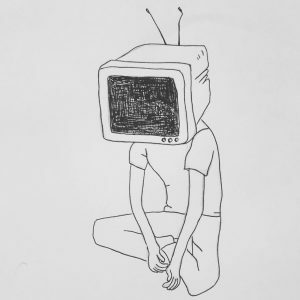 So I hope you enjoy hearing my thoughts about what I watch on TV.